Let’s think about this. Obamacare drafters focused on premiums as the vehicle to make health care affordable. At the same time they sought to punish generous (by their definition) employer plans by imposing a so-called Cadillac tax of 40% on what they deemed excess value. Within Obamacare exchanges insurance companies responded to the pressure for lower premiums by introducing higher deductible plans. Employers, who had no intention of paying the poorly conceived 40% tax, did the same. Actually, this was all known even before March 21, 2010. What IS surprising, however, is that the Obama Administration has been able to jawbone rates within the public exchanges, essentially lie to the Insurance Companies that the reinsurance pool would insulate them from losses, to the extent necessary so that, coupled with the taxpayer subsidies, individuals have access to a low premium/contribution plan through 2016 – and, where household income is < 250% of federal poverty level, they will continue to have access to subsidized deductibles and other out of pocket cost sharing. Not too hard to get 8 – 10 million or more, increasing each year, to enroll in Medicaid – since it is free. It is NOT surprising to hear legislators complain – and probably start to blame the insurance companies and "big corporations" with ever louder criticism. That is the knee jerk response – to single out one over here and one over there and tar all of them with the same brush … even though self-insured plans have the same challenges AND so do small businesses. Never hear about self-insured plans gouging workers though, do you? 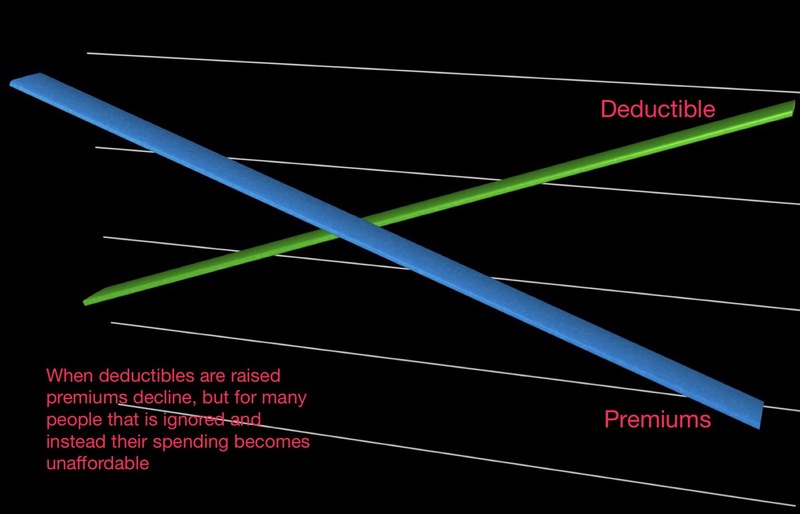 In fact, it is the exception where a self-insured plan has a VEBA trust to accumulate some assets in anticipation of future claims because (you guessed it) there are discouraging tax rules designed to curtail such tax favored accumulations of reserves, designed to raise revenue for the federal government (see DEFRA 1984). It means, of course, that if your employer's plan is self-insured, what you see is what you get – the cost to the participant and their employer is equal to the claims cost and administrative cost (including some margin to pay the claims examiners and management of the Third Party Administrator, and perhaps, a small profit margin to ensure a reasonable return on the capital invested). And, it is NOT surprising to hear the current batch of legislators complain, as they have inherited this crap law. You have to remember that just over six years ago, March 23, 2010, 212 Democratic Congresspersons voted for the Patient Protection and Affordable Care Act of 2010, and today, only 119 of those 212 remain in office! Democrats have seen their ranks decline substantially from a majority of 250 or so in 2009-2010 to less than 200 today. So, sure, no one is totally satisfied, the D's will say, look how we've succeeded in getting maybe 20 million Americans to enroll in health coverage – without telling the voter-taxpayers just who is footing the bill. Aside, I bet I could get 50 million Americans, maybe more, to buy life insurance (get them to consider their own mortality) if it were free or next to free – and certainly more if I coupled it with an individual and an employer mandate.